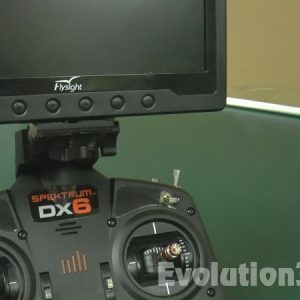 Deluxe FPV LCD Mount.. for the Spektrum (DX6 / DX7) Transmitter.. Just snaps on.. Extremely Strong.. Tilt Adjustable.. Quick Release Secure Fit.. 1/4-20 Camera Screw Included.. PRODUCT UPDATE: It has now been confirmed that our DX6/DX7 mounts also fit the (DX8 Gen 2/3) radio perfectly. Also, this mount is now made with PET-G material which is stronger and more heat resistant. 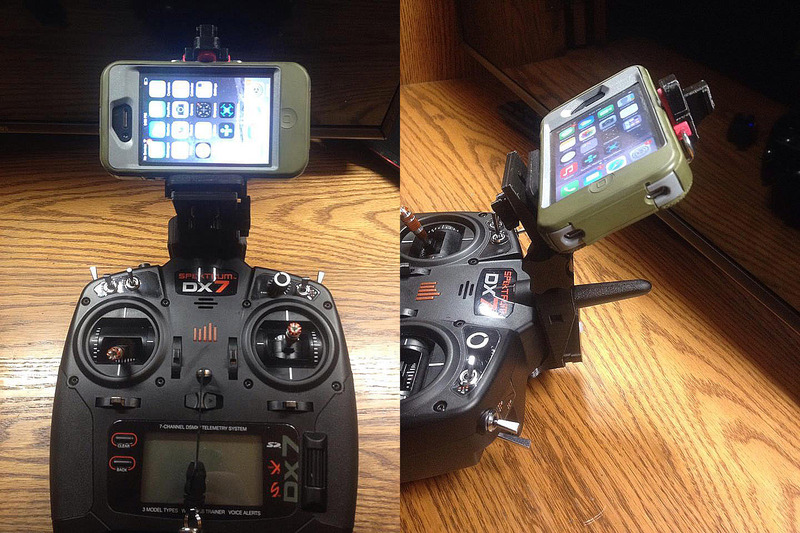 For those wondering, the mount does fit the DX6 gen 3 radio perfectly. I received the newest design (equipped with three white screws and mounting dowels). The updated design is great and gives a stable platform for my hefty (19.05 oz) Fairview 777 monitor. Other pros for the mount are: the radio balances flat on a table with the monitor in viewing position; mounting and removing the monitor is convenient with plenty of room for fingers and large thumbscrews for leverage; the mount does not interfere with button and switch access. Like others, I was initially questioning the price, but it is well worth the cost and represents a perfect solution. This thing works great ! 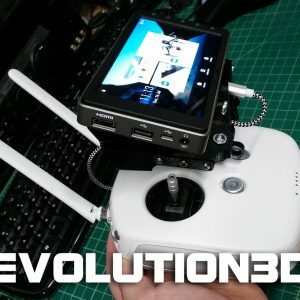 Just wanted to post a couple of pics for my new spektrum fpv mount from evolution 3d! This thing works great and has another adapter for my tablet too!! Best mount on the planet! 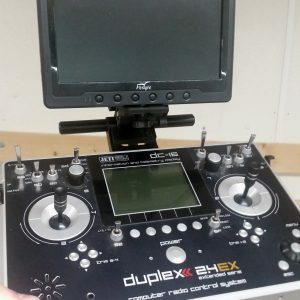 I just got my new Deluxe Spektrum (DX6 / DX7) LCD Monitor Mount and have to say I am very impressed with it’s design and quality. The fitment is really nice with no play in it. It has a good range of adjustment for the LCD viewing. When I upgraded to this radio it never gave a thought to adding my FPV monitor until after the purchase. 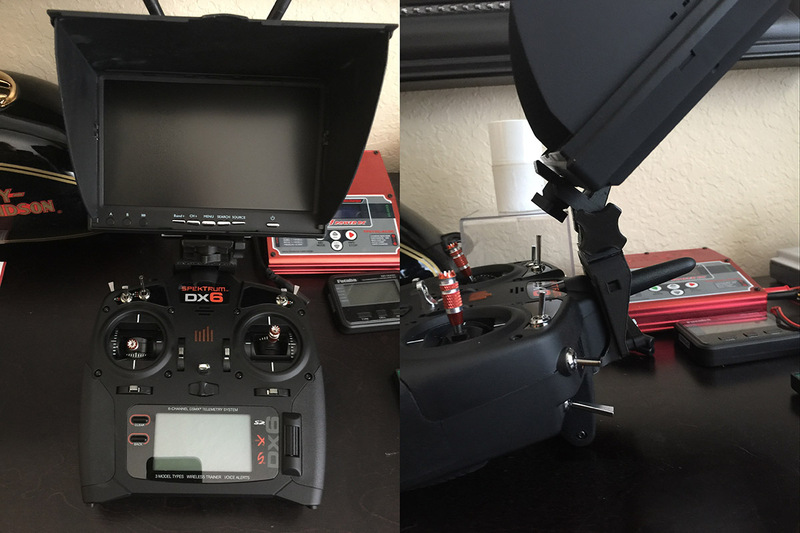 When I realized my current mount was not going to work I check all the local hobby shops and no one had a solution for these types of radio. The nice thing about this mount is it really does not interfere with accessing the radio switches or sticks like the only other option out that hooks to the neck strap post. 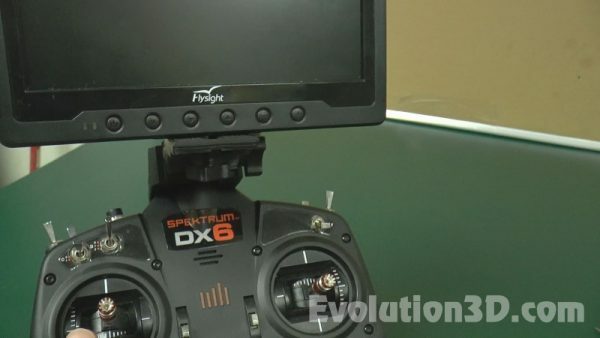 Anyway thanks for taking the time to develop a really nice solution for those of us that have these radios and fly FPV using a monitor.